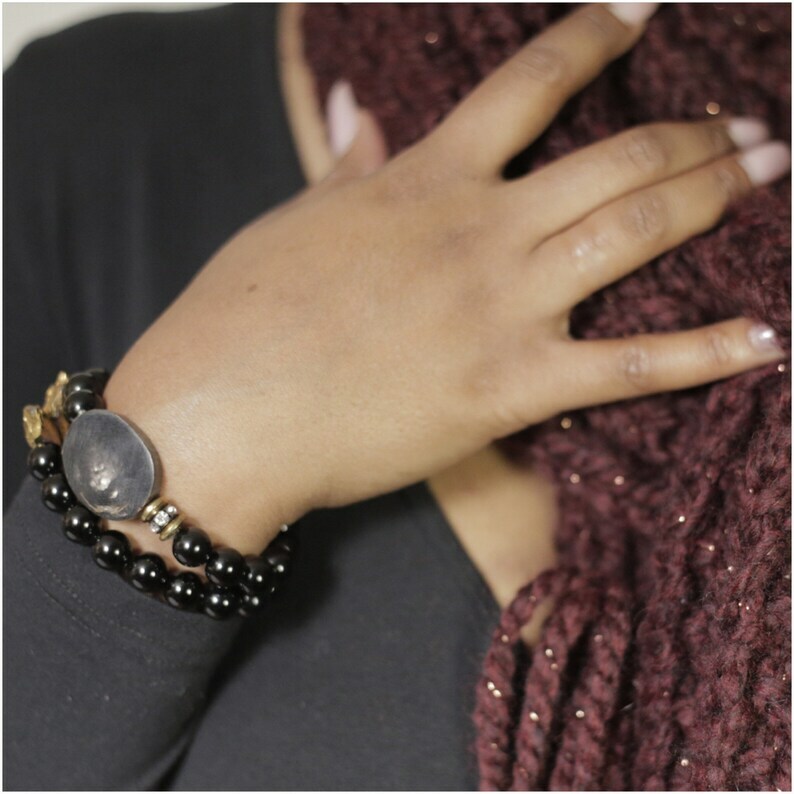 This bracelet is made with 10 mm Onyx Gemstones. black round and smooth. Paired with black natural wood with brown/tan swirls.. each wood varies in swirl and color because they are natural. Made on stretch no clasp.